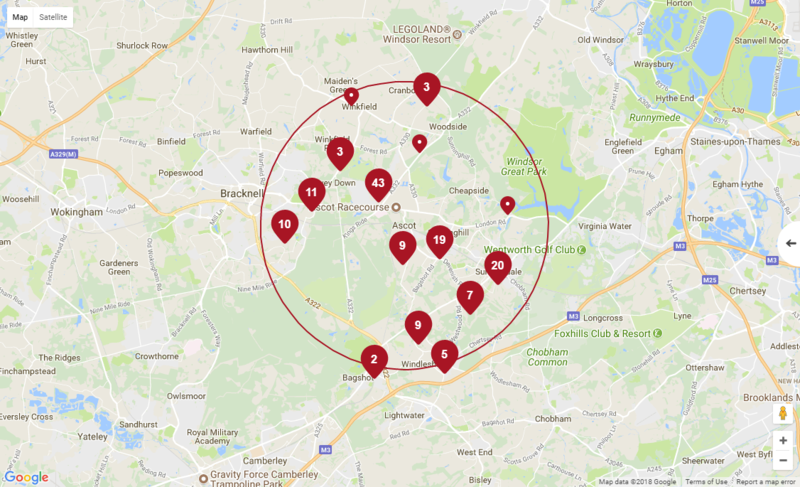 Our newly launched and bespoke Map View search function brings a unique twist to a familiar but efficient way to search for properties online. In striving to provide you with the best in class experience to carry out your property search, there are several innovative features that sets map view apart from the competition. For areas with multiple properties in close proximity, we have added a grouping pin so that you can easily search for properties in your chosen area. Viewing properties in this way will ensure that you are not missing out on any potential properties that might have otherwise gone unnoticed. Accompanied by a clean layout, map view gives you a way to quickly search for your dream property. We have also added a feature to adjust the map size which scales with the information shown about the properties in your searched area. The more you zoom in, the more in depth the information available to you will be. In fact, you can use Google street view straight from the Map View page, putting all the information you need about the surrounding area at your fingertips. These are just some of the ways you can tailor our website to your needs and view properties in a format that you are most comfortable with. Combining these new features with an advanced interface, responsive design, and a fast loading website, we have created a platform that makes searching for properties online an efficient and enjoyable experience. With that in mind, Map View is something we believe sellers & landlords can take advantage of in order to maximise their property’s visibility.Please stay tuned for more exciting additions to our website. If you would like more information on our unique marketing package and how we can help you achieve the best price for your property, please click Call me back and we’ll get back to you at a time that suits you. Alternatively, please visit your local branch or call us now on 0333 6000 060. We’ve opened a brand new branch in Windsor and we’ve got an exciting launch offer.